My Grandmother. 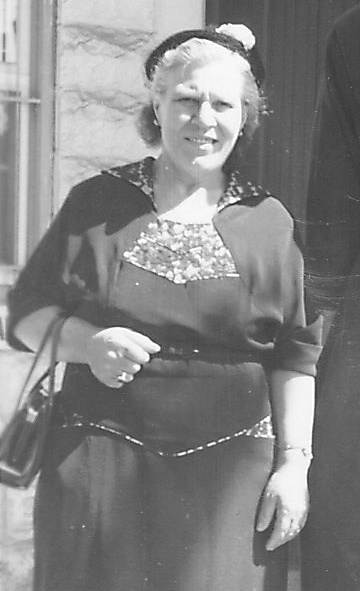 Born in Italy in 1899, she came to the US where she met and married my grandfather. The recipe itself is simple. Two basic ingredients. Eggs, and flour – with about 1 egg for every cup of flour. It can’t get more simple than that – and it’s easy to see why pasta of all types has fed many a generation of hungry people. It’s inexpensive and easy to make – and it filled you up! As the day unfolded – I became amazed at just how many things my mom still used and that still looked and worked so well from those earlier years. 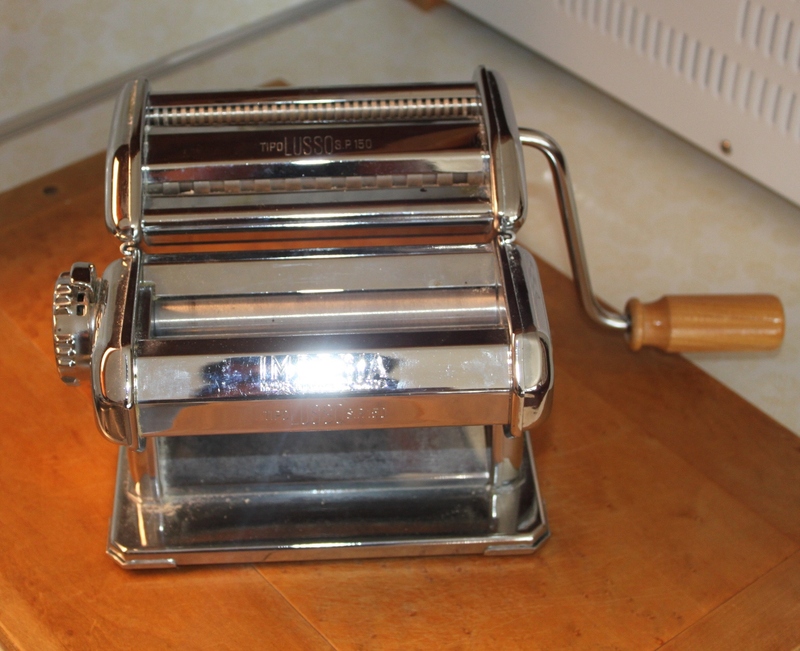 In addition to the pasta maker, we beat the eggs and mixed flour in brightly colored vintage Pyrex mixing bowls, and worked the dough on an old wooden pie board that was a wedding shower present. If that wasn’t enough – we rolled and cut dough out on a classic cherry red kitchen table from the 50’s – in the extra downstairs kitchen my father had built for mom, complete with their matching vintage refrigerator and oven. Still both working by the way! 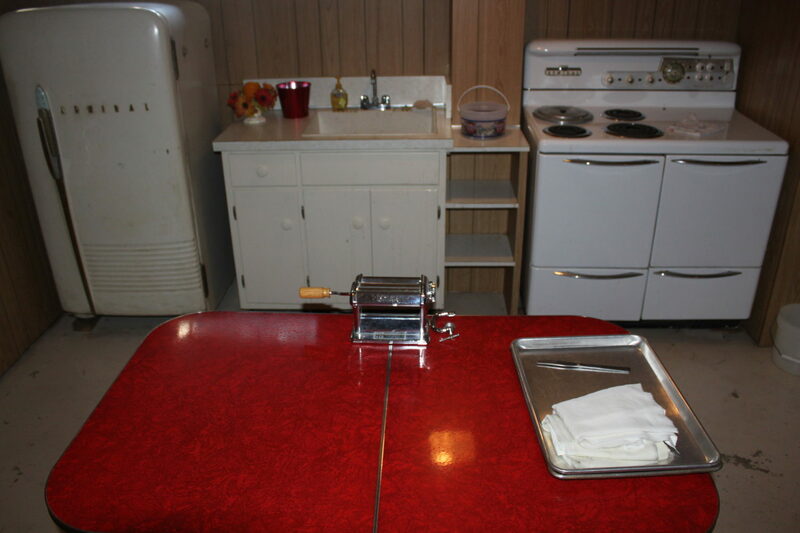 Working in the vintage kitchen – Admiral Fridge and Stove, along with a classic red table and the pasta machine. We joked with my mom that all of her older “things” are so “in” right now – but after spending the day working with everything – it’s easy to see why that’s the case. There is no mistaking the quality and workmanship built into the tools and appliances of our parents and grandparents era. Things were built to last, and taken care of by a generation who valued what they had. Something that I think our generation should and could learn a lot from. So while we rolled the dough through the machine – We got to hear great stories about how my grandmother would make mountains of pasta right on the kitchen table – and all about big Sunday dinners of the past, complete with spaghetti, fried chicken and of course, homemade wine. We finished the day with a great family style spaghetti feast – topped with pasta sauce we had canned from our garden – and yes a little wine too (someday, hopefully we can use one of our own bottles!) It felt like after all that pasta we should have included a nap as well! 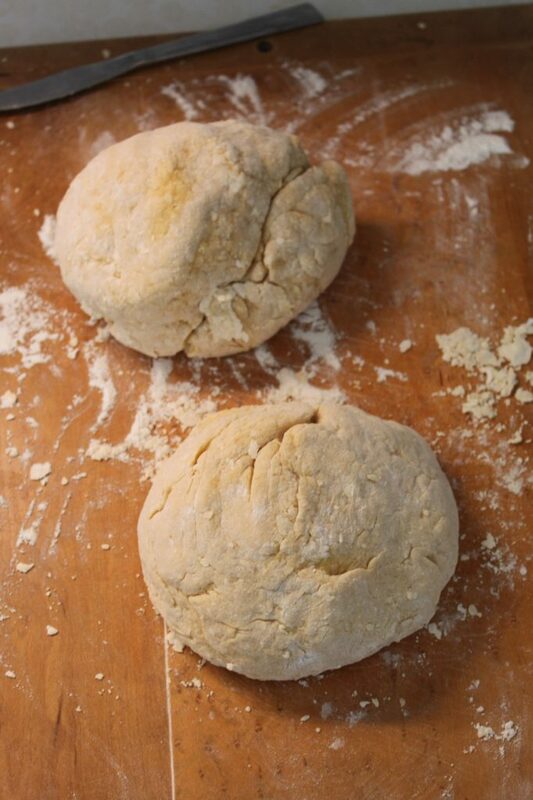 The dough balls – all ready to be rolled through the pasta machine and then cut into noodles. All joking aside – this day will go down as a favorite. Spending time with family, passing on recipes, hearing stories of the past and enjoying great home-made food – that is something no amount of money can ever buy – and something I will cherish for the rest of my life. 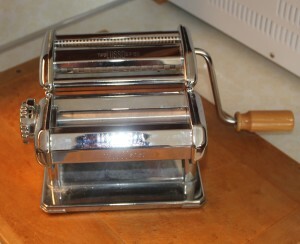 We also learned some valuable lessons from my mom in keeping a pasta machine working. Never ever use any type of water to clean it. And never use salt in the dough. If you follow those two simple rules…you end up with one vintage machine that can crank out a lot of noodles in it’s lifetime. 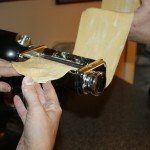 We included our little step by step process of the pasta making at the bottom of the post – if you have never tried it – it’s so worth the time! **If you would like to receive our Recipe Of The Week – be sure to sign up to follow the blog via email in the right had column, “like” us on the Facebook, or follow us on Twitter. Pour eggs in the center hole of the flour and slowly mix until incorporated. ← “The Farm” – A Perspective From A 12 Year Old.